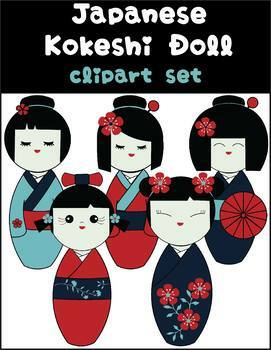 This Kokeshi Doll clipart set contains 5 adorable Japanese Kokeshi Dolls. This set does not contain black and white images. These are in the PNG format. You may use these for personal or small business commercial use.